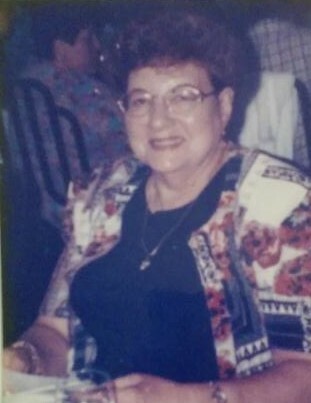 Obituary for Rosalie (Oddo) Coppa | McNulty Funeral Home, Inc.
Rosalie Coppa (nee Oddo) passed away in the Bronx, New York on Tuesday, February 12, 2019. She was the beloved wife of the late Charles who predeceased her on November 27, 1992. Loving mother of Mark and Anthony (Christine). Cherished grandmother of Analisa. Family and friends are invited to McNulty Funeral Home, Inc. 3006 Middletown Road Bronx, New York 10461 on Friday, February 15, 2019 from 2:00 - 5:00 and 7:00 - 9:00 PM for visitation. A Mass of Christian Burial will be celebrated for Rosalie on Saturday, February 16, 2019 at 11:00 AM at Our Lady of the Assumption Church. Entombment will follow at St. Raymond's Cemetery in the Bronx, New York.